The R&b singer posted a photo from her hospital bed on Instagram. R&b singer Kehlani was sadly hospitalised on Monday evening (28th March) after attempting to take her own life. The up and coming singer-songwriter posted a photo from her hospital bed on Instagram, accompanied by an emotional message (which she has since deleted). "I wanted to leave this Earth. Being completely selfish for once. Never thought I’d get to such a low point," she wrote. "As of today, I had no wish to see tomorrow. But God saved me for a reason and for that…I must be grateful. Cuz I’m not in Heaven right now for a reason. On that note, bye Instagram." 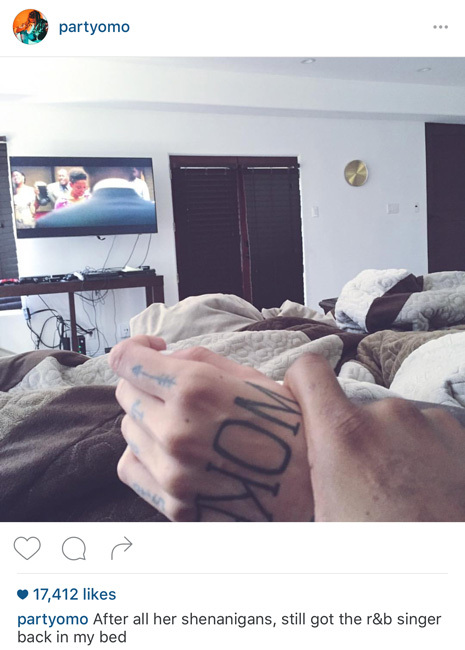 In her message, Kehlani also addressed the rumours that she had cheated on Kyrie Irving with her ex-boyfriend, PARTYNEXTDOOR. "Don’t believe the blogs you read. No one was cheated on and I’m not a bad person. Everyone is hurt and everyone is in a place of misunderstanding." The attempt came after PARTNEXTDOOR posted a photo on Instagram of the two in bed together, captioned; "After all the shenanigans, still got the R&B singer back in my bed." 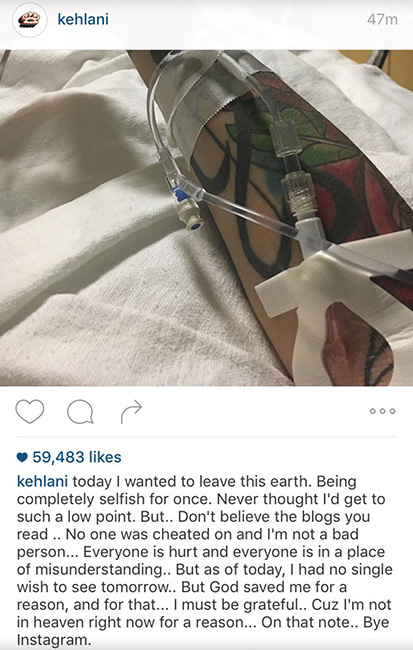 Our thoughts are with Kehlani at this difficult time.